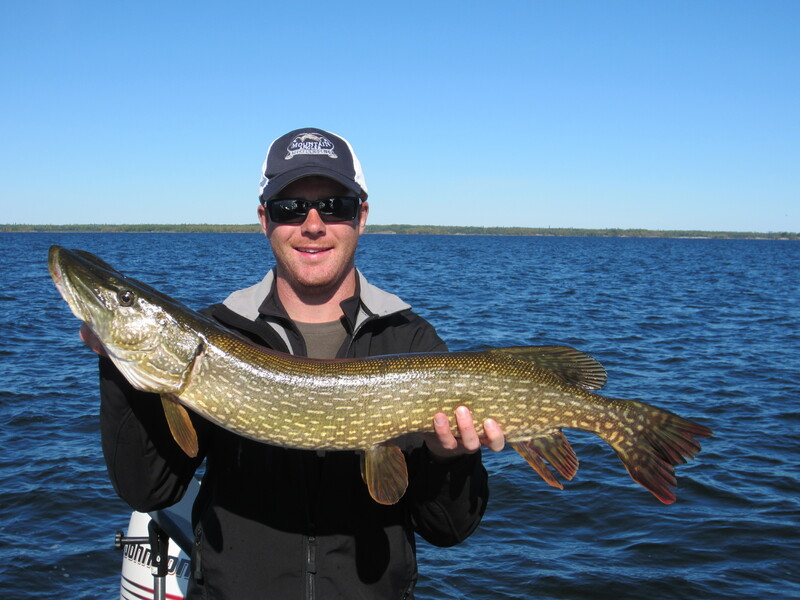 If you are looking for trophy northern pike fishing then Walsten Outpost is the place. All of our lakes are in Ontario's Trophy Waters, which means the size and number of northern pike caught at our outposts is unsurpassed. 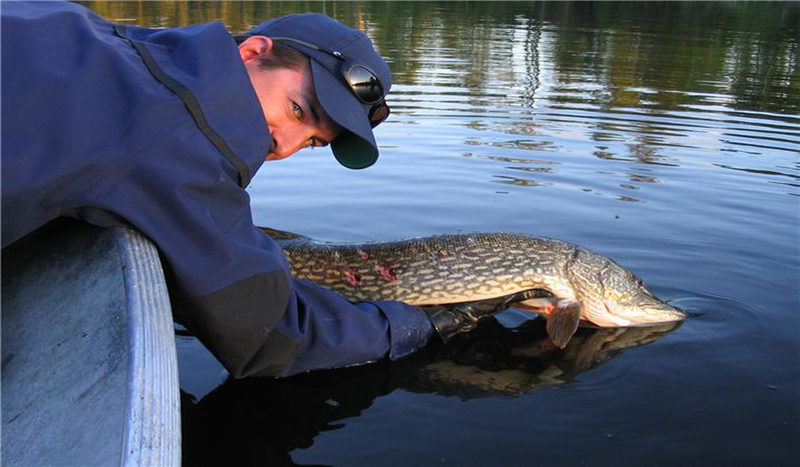 All of our lakes hold northern pike, in fact McCusker Lake recorded the largest northern pike in Ontario in 2004 of 52" and 35 1/2 lbs, fish average five to fifteen pounds and can even be in the 25-30 pound class and 40"-50" range. With pike it is all about their size and fight - they are ferocious predators and it is not uncommon to be reeling in a walleye when a pike hits your line and the fight is on!